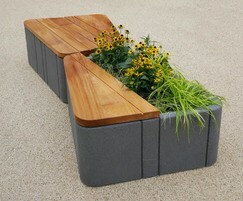 The Uniun® combined seating and planter module unites contemporary seating with planting space. 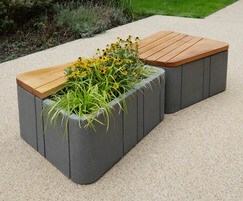 It is ideal for large open paved spaces. 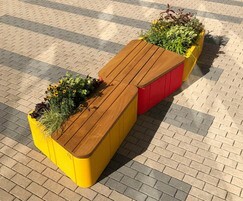 The trapezoid-shaped units can be integrated with full seating or full planter modules, allowing hundreds of viable layouts including straight lines and clusters. 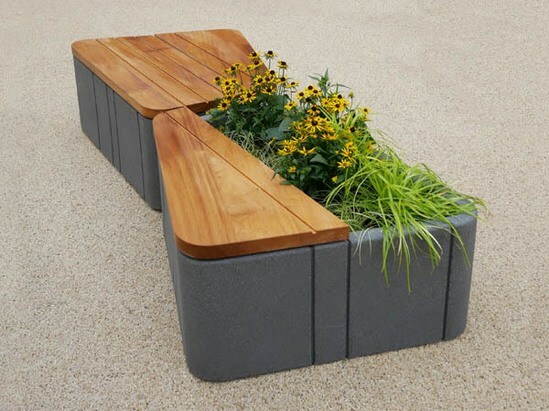 Moulded from lightweight but tough polyethelene, the planter is available in multiple finishes as well as a 100% recycled version. 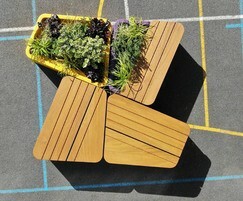 The seating platform is available in different configurations, allowing for either smaller or larger planting space. 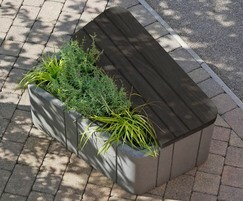 Refer to PDF for full specification details and options.